Are pillows really necessary for good sleep? Pillows have only been around since about 7000 BC when they were made of stone and designed to keep insects out of a person’s mouth, nose, and ears while they slept. Soft pillows didn’t become popular until the 16th century. So it would seem that humans are designed to sleep just fine without pillows. In reality, whether or not you should sleep with a pillow depends on your preferred sleep position. Here’s how your sleep position determines whether you should sleep without a pillow. Should You Replace Your Pillows? 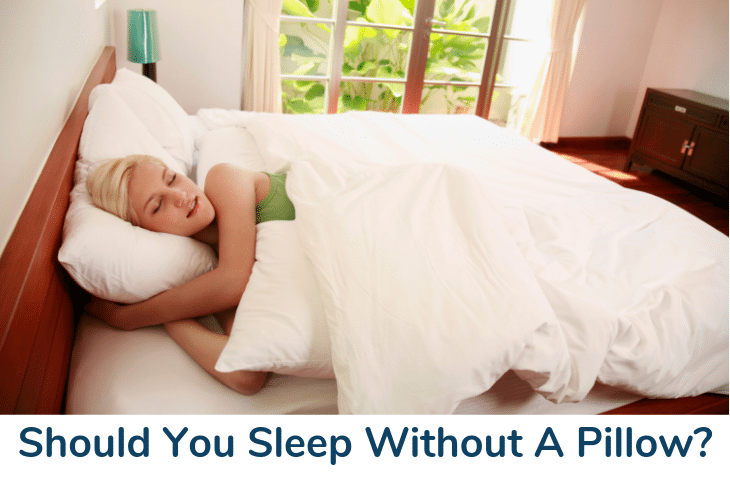 So, should you sleep without a pillow? Pillows are more than just fluffy objects to snuggle up with. They are designed to support your head and keep it in a position that maintains your spine’s alignment. Since how you sleep determines your spinal alignment, it also determines whether or not you need a pillow (or perhaps more than one). The majority of Americans sleep on their sides. As a matter of fact, if you include people who sleep curled up into the fetal position with those who sleep on their side with their legs straight and arms out or down, two-thirds (66%) of Americans sleep on their side. 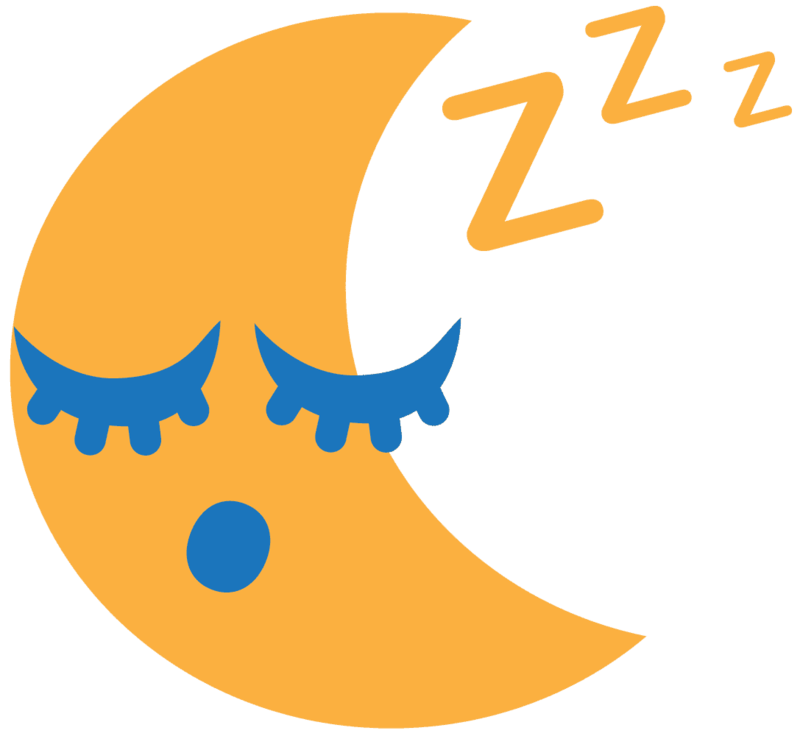 Side sleeping has been shown to be the most beneficial position for restful sleep without causing pain. For people who sleep on their sides, researchers actually suggest using two pillows – one under your head and one between your knees. Without a pillow under your head to support it, side sleepers can end up with neck pain from their head being at an awkward angle all night long. A pillow between the knees also helps keep the spine aligned for the most comfort. For those with more curves or a firmer mattress, a small pillow or rolled up towel under the waist can provide even more spinal support. Pregnant women may want a pillow under their belly for support. Ultimately, side sleepers may need 2-3 pillows (or more) to sleep comfortably and prevent back or neck pain. Sleeping on your back can increase snoring, sleep apnea, and lower back pain. Still, nearly one in five Americans (18%) prefer to sleep on their backs. Should back sleepers use pillows? Back sleepers can choose to use a thin pillow, or no pillow at all. However, a pillow or rolled up towel placed under the knees can reduce strain on the lower back. You can take this to mean that pillows are recommended, but not required for people who sleep on their backs. If you feel comfortable without any pillows while back sleeping, then go for it, but don’t be afraid to use one or two pillows to find a position that’s easier on your back. Sleep professionals don’t recommend stomach sleeping because it can cause lower back or neck pain. If you just can’t help yourself and find yourself sleeping on your stomach, skip the pillow under your head since it will put more strain on your neck. Instead, consider putting a small pillow under your stomach to give your lower back more support. Using the wrong type of pillow can be just as harmful to your back and neck as not using one at all. Keep in mind that the goal is to keep your head and neck aligned with the rest of your spine. Pillows that are too flat or too fluffy won’t maintain proper spinal alignment. How do you know if your pillow is right for you? The key to having good spinal alignment is to ensure that your ears, shoulders, and hips are all in a straight line. Have somebody look at you in your preferred sleep position to see if you look aligned or not. No two people are exactly the same. A person’s size and shape will affect what type and size of pillow they need, in addition to their sleeping position. For example, a small, thin person who sleeps on their back may not need a pillow under their head. On the other hand, a person with broad shoulders who sleeps on their side will likely need a thick pillow to support their head and keep their spine aligned. Women with a lot of curves may also need additional pillows, or different sizes or types of pillows keep their spine aligned. Pillows tend to lose their shape over time, so you may need to replace your pillow every year or so, especially if you typically purchase cheap pillows. Beyond that, pillows can accumulate sweat, drool, skin cells, dust mites, fungi, and mold. Just imagine how much can accumulate after a few years – or decades. The size and type of pillow you need may also vary depending on the firmness of your mattress. Firm mattresses are likely to cause more gaps between the body and the bed, which will require more pillows. Memory foam mattresses help cradle the body, and adding too thick of a pillow to a memory foam mattress can lead to neck strain. If your pillows are more than a few years old, it’s probably time to replace them. Oh, and buy dust mite covers when you purchase your pillows to protect them for a little longer. In the end, it’s all about comfort. If you aren’t waking up in pain, you can get away with sleeping without a pillow. For most people, though, one or more pillows are required to get restful, comfortable sleep without waking up in pain. Jennifer Nelson is a freelance writer in the Midwest. She loves to sleep and enjoys helping others get great sleep, too. Apart from sleep, Jennifer also enjoys writing about medical and pet topics. She lives with her dog and loves to travel.